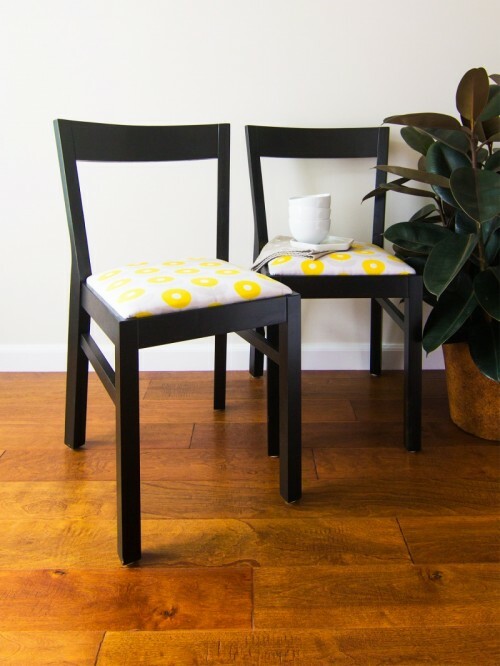 Wanna reupholster your old chairs? 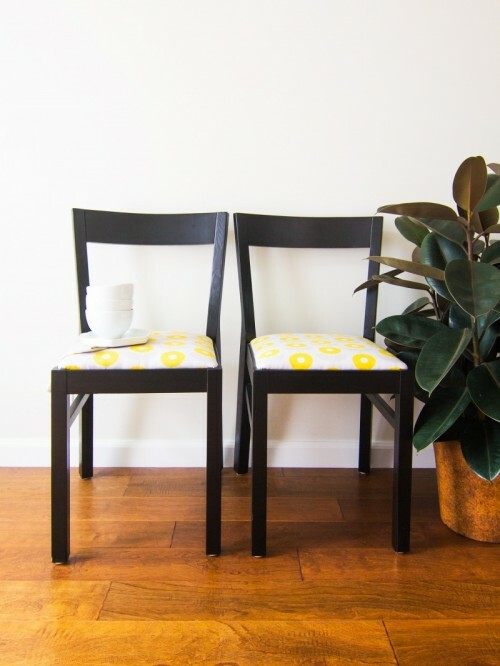 Prepare chairs with upholstered seats, fabric, a staple remover, a staple gun + staples, fabric scissors, a screw driver, pliers, fabric spray. 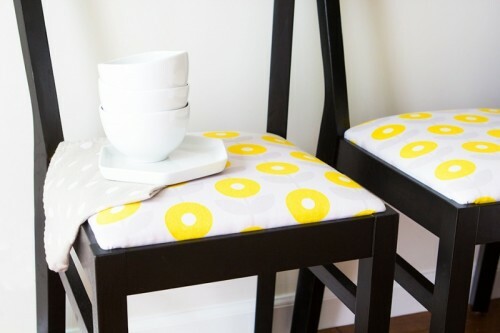 Gather your supplies and remove the chair cushions. 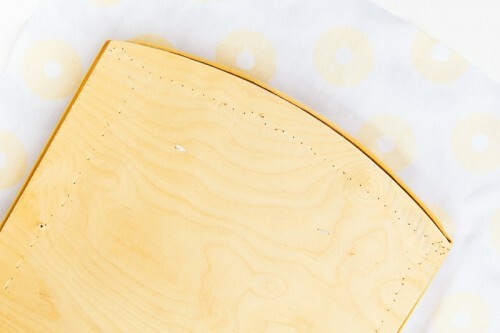 There are usually just a couple of screws that hold each cushion in place. 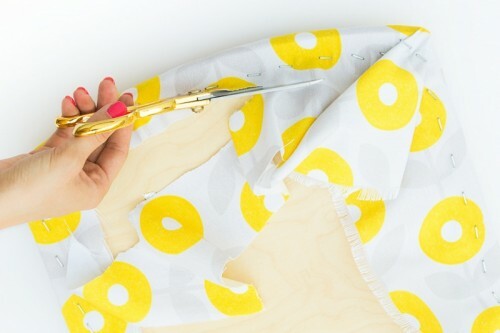 Remove the old fabric using a staple remover. 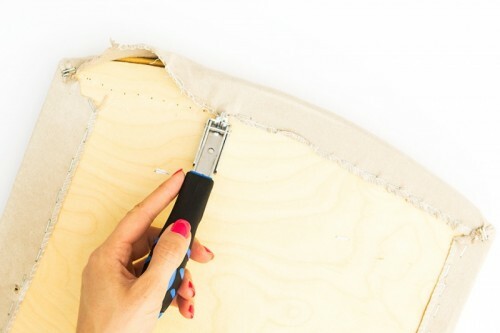 You may need to pull out some stubborn staples using a pair of pliers but I only had to do this a couple times. Drape the new fabric on top of the cushion. 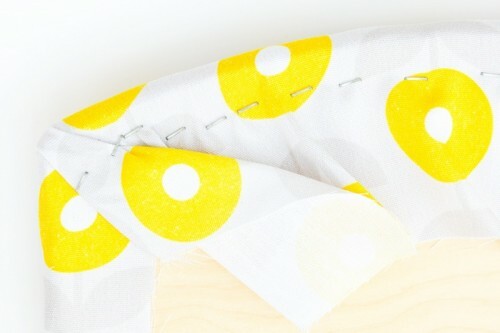 If the fabric is directional, make sure it’s going the way you want. Keep reading the tutorial in the source.